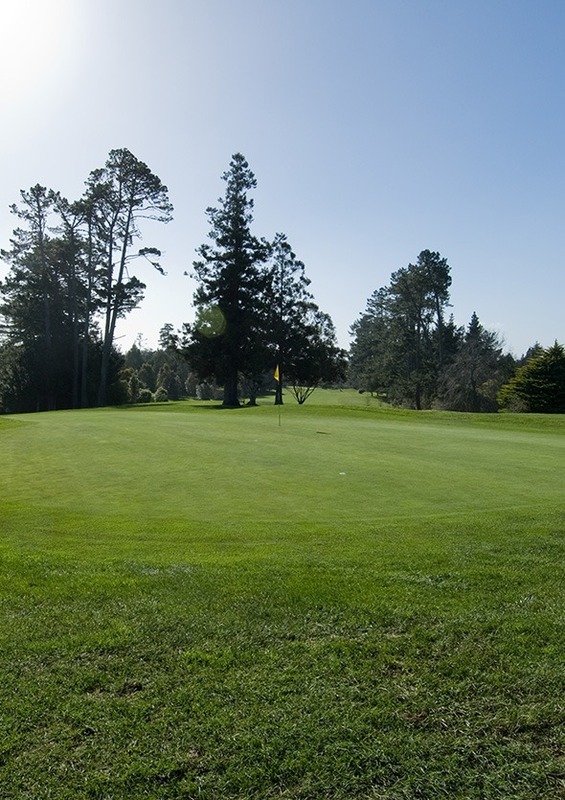 A hole where correct club selection and a straight shot, is rewarded. Slightly uphill, over a gully, through a gap between tall trees. Very long, rising, two-level green forming a narrow “figure 8” shape, with bunkers each side, and mounds encircling the back. 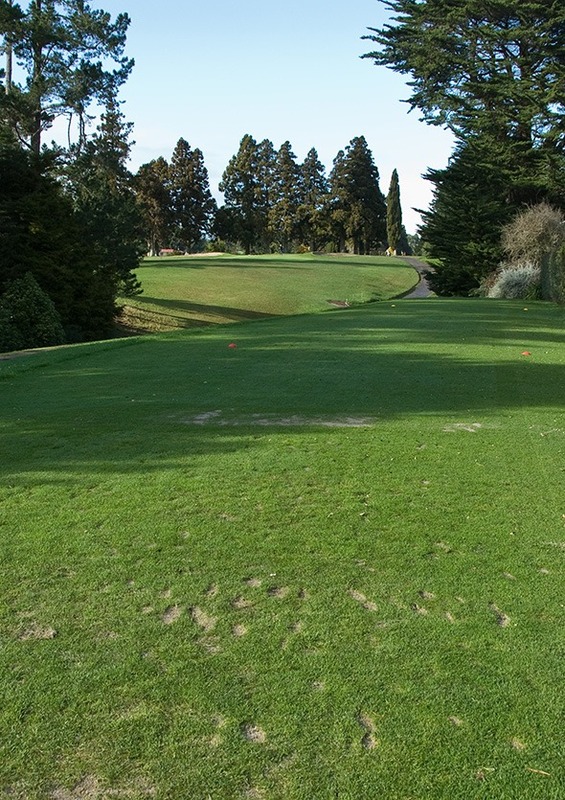 Tee shot to the right, if not out of bounds, gives a difficult, blind uphill pitch. 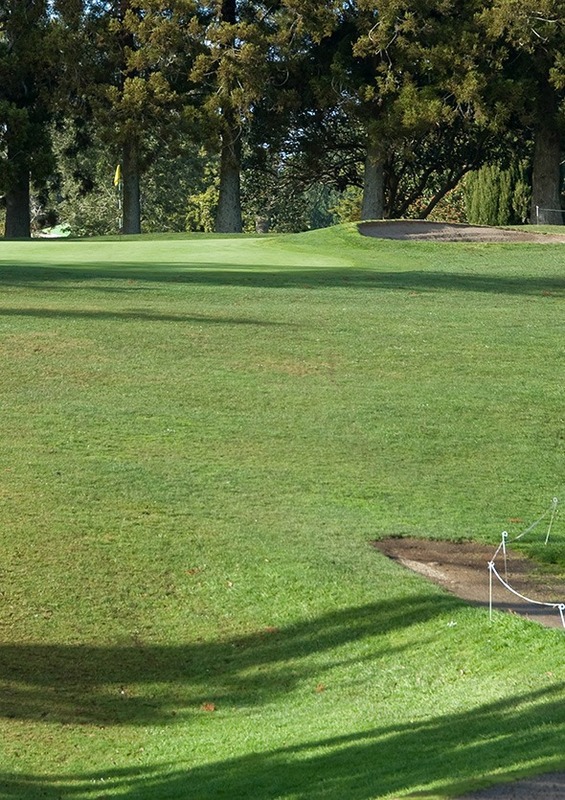 Front pin placement can be a severe test of short-game skill.